Jon Rubinstein, the former CEO of Palm and the man who spearheaded the development of the WebOS software, has left Hewlett-Packard. Rubinstein joined HP when the company bought WebOS back in 2010 and has now completed his 12-24 month commitment to the company. "I am going to take a well deserved break after four and a half years of developing webOS," Rubinstein told AllThings D.
HP followed up with a statement of its own: "Jon has fulfilled his commitment and we wish him well." After a term at Apple working on the iPod line, Rubinstein returned to prominence around the time Palm made a comeback with the Pre handset in 2008, which saw the debut of WebOS. 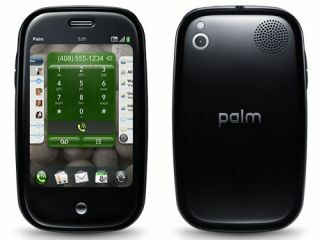 The Pre was not a success and the promising WebOS software failed to reach its potential under both Palm and HP's leadership. Following the TouchPad tablet fiasco, HP decided to release WebOS to the open source.